By standing up and standing out with sharp, high definition graphics, Pop Up Banners really let you make your mark at exhibitions, conferences and events. Easy to transport, quick to put up and great for attracting the attention of passers-by - The FMG Expo Pop Up Banner systems offer an ideal way of taking your branding and advertising with you wherever you go. What is eight + 7? Includes a stylish wheeled transit case with a smart beech laminated counter conversion top, plus two 150w flood lights. Available in a range of sizes and styles, pop up banners are ideal to use on their own or as part of a larger exhibition stand. The high definition print quality gives outstanding image clarity, and the size makes them ideal to use when space is limited. Their light weight means they are also easy to move around to make the most of any changes in the way your audience view your position. 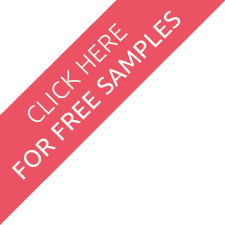 Perfect to use on exhibition stands, in lobbies, at conferences and seminars, in reception areas, on shop floor displays, at sporting venues, and at gigs and events. 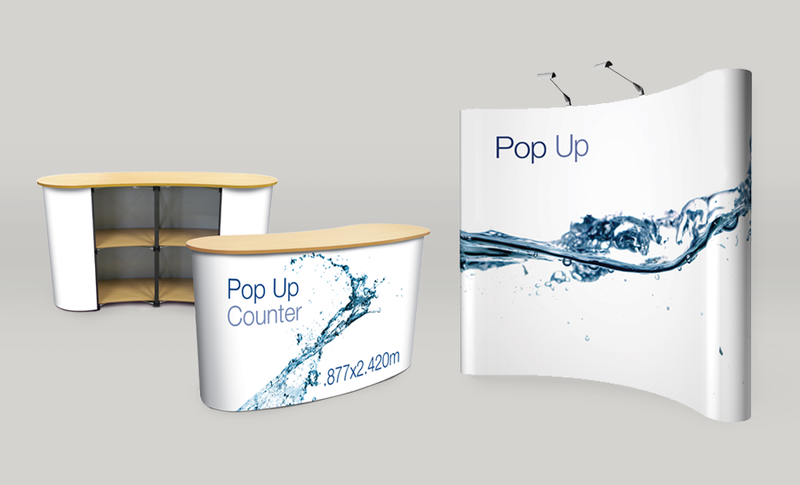 If you are happy to design your own Pop Up Banners, feel free to use the Pop Up Banner design templates available for download. Please also take a look at our design formats page to check we can accept the artwork formats you use.